Opened in 1932, Memorial Auditorium is the crown jewel of North Carolina performing arts. Over the years, this richly historic theater has played host to a dazzling spectrum of artists and performances. Just a sample of the list quickly becomes dizzying: Sinatra, Gillespie, Baryshnikov, Tony Bennett, Ray Charles, Sarah Vaughn, Itzhak Perlman, Natalie Cole and Prince. Broadway blockbusters like Les Misérables, The Phantom of the Opera, Disney’s The Lion King, Jersey Boys, Miss Saigon, and Rent have also been staged here. 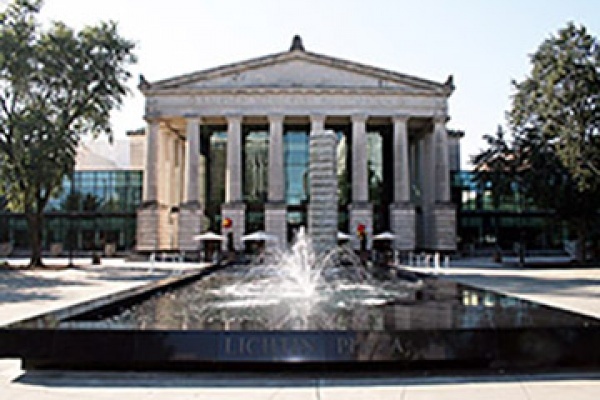 Moreover, just stepping into the theater, with its dramatic atrium lobby, twin floating staircases and gorgeous Doric columns, brings the magic and inspiration of all these artists to life for visitors. After some dramatic renovations in 1990, Memorial Auditorium now blends state-of-the-art technical amenities like sound-reflective mahogany walls and intricate lighting systems with grand theater traditions. It currently is the home of Broadway Series South and the North Carolina Theatre.